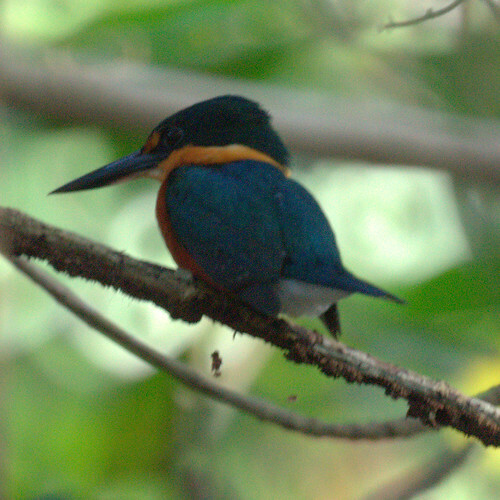 We had a lot of fun tracking this Pygmy Kingfisher in the swamp. Everyone in our boat wanted to see it, so we didn't give up even though it kept trying to evade us. It is really quite small in comparison to the Belted Kingfishers we see at home. We're having a rum punch tonight while we post just to re-celebrate the good time we had.